Casa das Pegadas is a lovely, well presented three bedroomed single storey villa with air conditioning and its own private swimming pool with outdoor shower area. There is a large terraced area surrounding the pool, which is well equipped with patio furniture and sunbeds. The villa also has a roof terrace with sea views. The villa offers free Wi-Fi. 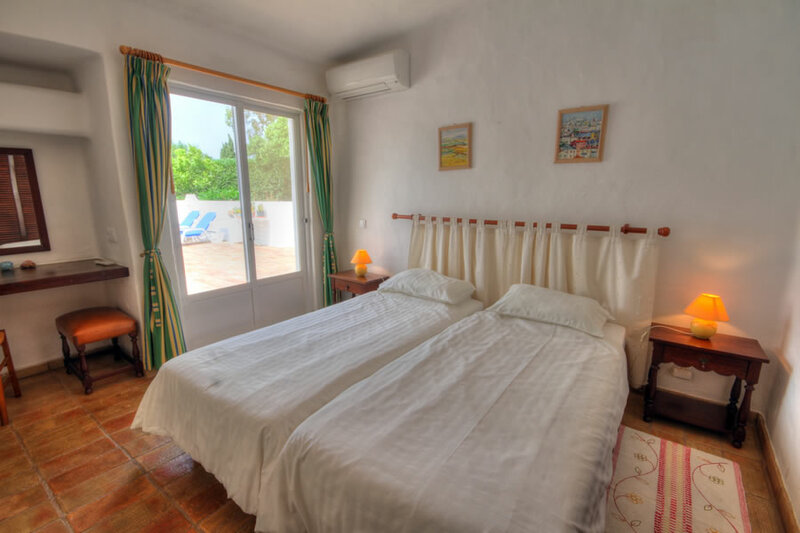 The accommodation comprises of a well furnished lounge/dining area with sliding double patio doors leading to the front terrace and large front garden. 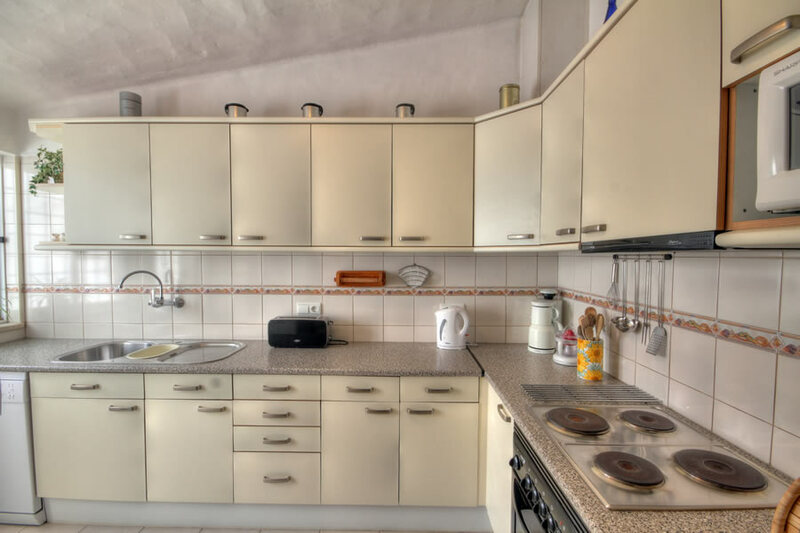 The villa has a fully equipped modern kitchen with all the normal appliances - washing machine, dishwasher, microwave, hob & oven. The master bedroom has a full en-suite shower room, the other two bedrooms share a separate bathroom. 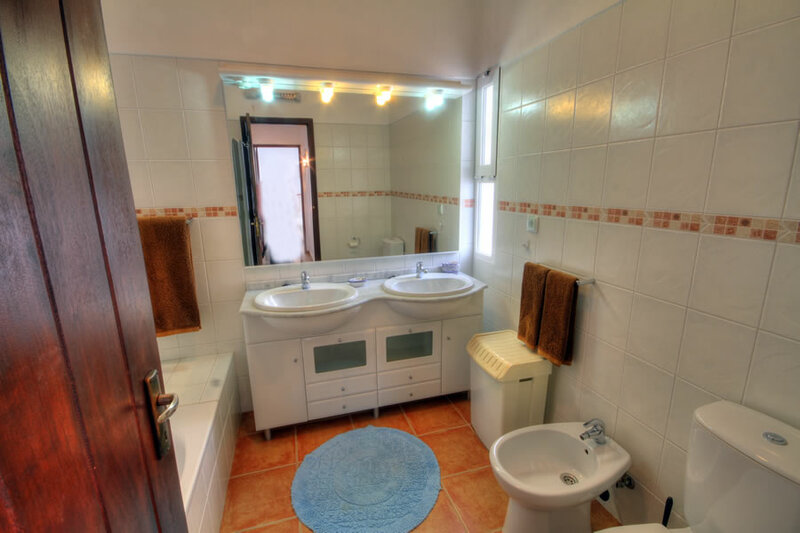 Both bathrooms have just undergone recent refurbishment to a very high standard. The master en-suite has a glass brick walk-in shower with the house bathroom having bath with glass panel for showering. 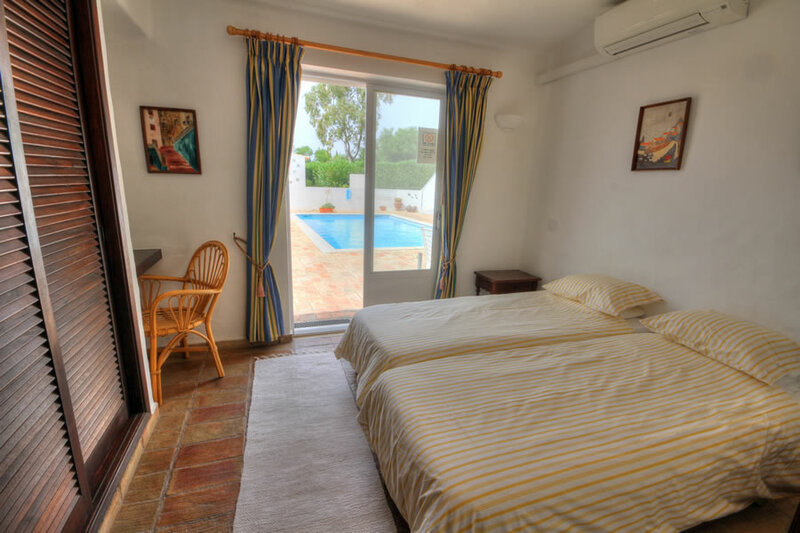 All of the bedrooms have patio doors leading to the swimming pool terrace. 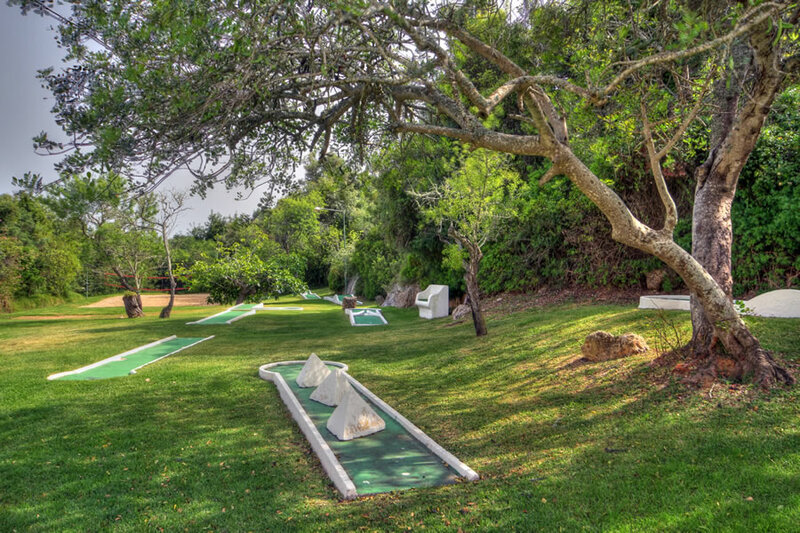 The villa stands in a well-kept private garden with lawn, shrubs and mature trees. 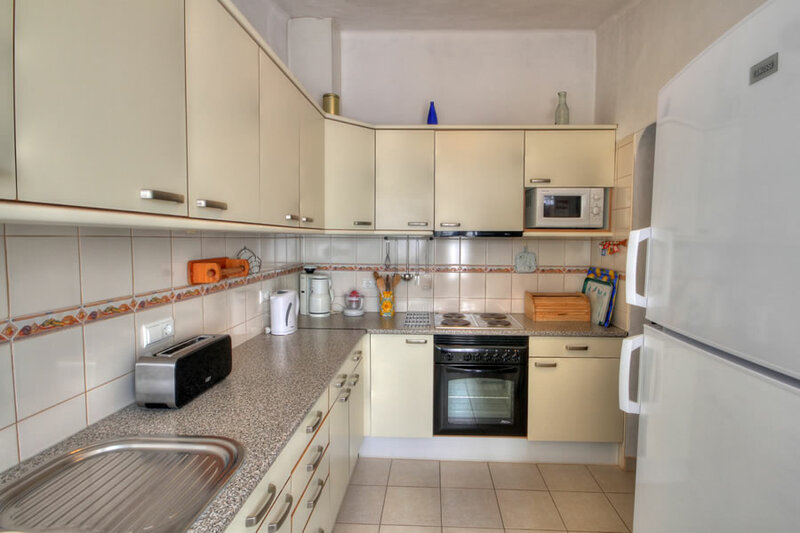 The owner has recently installed air conditioning units in the three bedrooms and the lounge (small charge may apply). 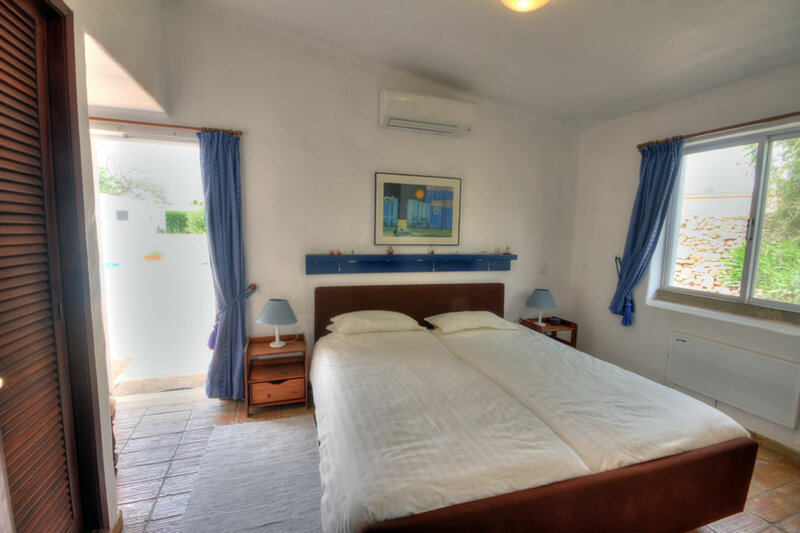 For winter rentals the villa has a wood burning fire and there are electric heaters in the bedrooms and bathrooms. The villa is situated on the very popular Quinta do Paraiso complex in Carvoeiro and is about a 15 minute walk from the town centre. Clients have the use of the facilities on the complex, including pool areas, tennis courts, crazy golf (a small fee is payable for use). There is also a small shop / supermarket located on the complex (summer months opening only).